We’re all too familiar with the winter challenge of trying to squeeze in a quick after-work hike before the sun sets. That’s why we’re always happy to find an enjoyable but relatively close to town hike like Mount Pisgah, that’s. A 3-mile round trip hike to the top of Mount Pisgah provides breathtaking scenery just 30 minutes outside of Asheville. This peaceful hike climbs through hardwood forests and rhododendron tunnels before topping out to stunning 360-degree views. Despite the transmission tower at the summit, you can enjoy unmarred views of Shining Rock Wilderness, Cold Mountain, The Great Smoky Mountains, and Mount Mitchell. While this hike is relatively short in distance, its somewhat steep and rocky trails provide a decent workout for the time invested. This trail is a popular weekend destination, but we’ve found it to be a quiet mid-week hike. Location: From Asheville, take the Blue Ridge Parkway south to the Mount Pisgah Parking Area, on the left at milepost 407.6. Park at the second parking area; the first is for Buck Springs trail. We truly live in an outdoor paradise. WNC offers hundreds of beautiful hiking trails and breathtaking overlooks. But to make the most out of your adventure, it’s vital to be well prepared and think about a few essentials for a rewarding (and safe) experience. Always bring along enough water for your hike. An average adult will likely drink a minimum of 2-3 liters of water on a full day of hiking, but will likely need more, especially in warm weather or on particularly strenuous hikes. Good news! Water is plentiful in WNC and delicious! Just bring along a filter, pump, or treatment solution and you will have all the clean water you need. 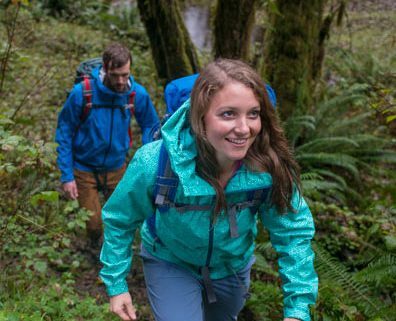 Rain gear is critical in WNC, one of the rainiest parts of the country! During popular spring, summer, and fall months rain and thunderstorms are a common occurrence. Stay dry, stay warm, stay safe, and play more! If you’re doing the Art Loeb, venturing into a wilderness area, or just hiking off the Blue Ridge Parkway to explore a new trail, make sure you know where you’re headed and can find your way back! National Geographic and Pisgah Map Company maps are affordable and readily available. Whether taking the family to a swimming hole or going on an overnight camping trip, First Aid is important. Scrapes, cuts, bee stings, sunburn and other more serious injuries can and do occur. Be prepared. Whether hammocking or curling up in a tent, camping is an awesome way to experience the WNC wilderness! Pisgah National Forest has designated campgrounds for easy car access and also allows dispersed camping anywhere in its boundaries. Certain portions of Pisgah require the use of hard-sided bear canisters. Please check their website for up-to-date information or stop by Frugal Backpacker for advice! The nearby Great Smoky Mountains National Park requires a permit and advance reservations for all backcountry camping in the park. In the busy season these spots go fast, so plan ahead! Bear-Bagging is a useful skill when camping anywhere in bear country. 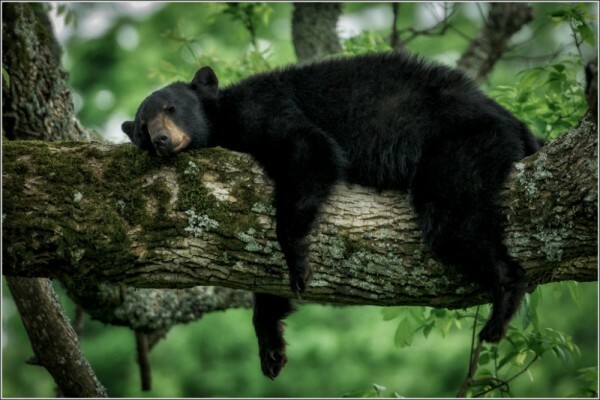 WNC is home to a large black bear population and even when camping in areas that do not expressly require bear canisters, we suggest bear-bagging your food and other scented products (deodorant, soap, toothpaste, etc). The PCT method of bear-bagging is our preferred system at Frugal Backpacker. If you are unfamiliar with it, drop into the shop and ask one of our experts to demonstrate. All it takes is a bag, some paracord, a carabiner, and a stick! The mountains and forests of WNC are a wonderful resource and welcoming opportunity to learn and explore! Please be respectful of the land and help preserve it for future generations and fellow enthusiasts alike! Bag your trash and carry it out with you. Dispose of human waste responsibly and away from water sources and trails. Thoroughly extinguish any fires and obey fire ban ordinances when and where applicable. Do not disturb wildlife and be mindful of slippery surfaces near the many creeks, rivers, and waterfalls that dot our mountains. More people die from slipping and falling each year than every other cause put together! Getting into a new activity or learning a new area takes time, but expert guidance can make a huge difference. Stop by Frugal Backpacker or our sister store, Diamond Brand Outdoors and ask our friendly expert staff for info on the local area or gear suggestions. We’re always happy to help! On August 25, the National Park Service (NPS) celebrates an important milestone: 100 years of the National Park Service Organic Act. Today, the NPS manages 401 park units and attendance hit a peak last year. 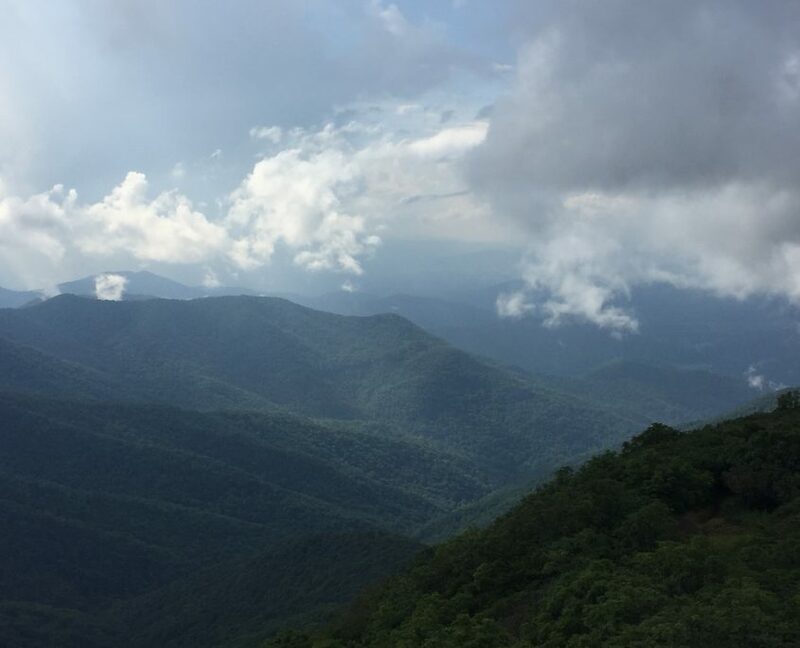 While we’ve got easy access to two of the most visited units – the Blue Ridge Parkway (#1) and Great Smoky Mountains National Park (#4) – day hikes are only the beginning of adventures that can be had when you venture just beyond our community. Grab the car and the kids and head out for these weekend trips this spring or summer. 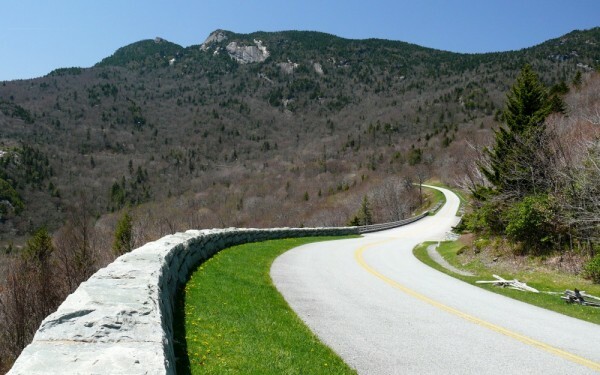 The Blue Ridge Parkway, dubbed “America’s Favorite Drive,” meanders for 469 miles and provides plenty of scenic driving, biking, and hiking in Buncombe County. Head over the Virginia border for a weekend and check out what The Commonwealth State has to offer. Plan an overnight stay in Roanoke for shopping at City Market and dining at local favorites Local Roots or Billy’s. Make your way to Sherando Lake in George Washington National Forest for some hiking and camping the next day. You can spend your final day exploring the Shenandoah Valley, Humpback Rock, and Shenandoah National Park before heading back home.